Dust off your lightsabers, Jedis and Siths because Star Wars day is in a month time! It’s your moment to be a Skywalker, Chewbacca, Ewok, Jabba the Hutt, Boba Fett or Darth Maul all day if you like. 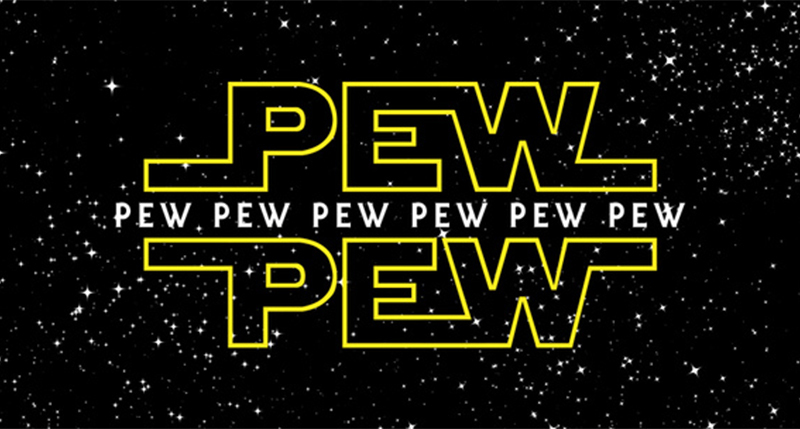 So go grab your fellow galaxy compatriots and salute this well-loved Star Wars day together. Here’s how to do it. Nobody can say no to snuggling under the blanket, munching on chips and repeatedly chanting the Imperial March (or popularly known as the Darth Vader/Stormtrooper anthem). By hosting a movie night, you’ve got great company, food and comfort all under one roof. What else is better than that? 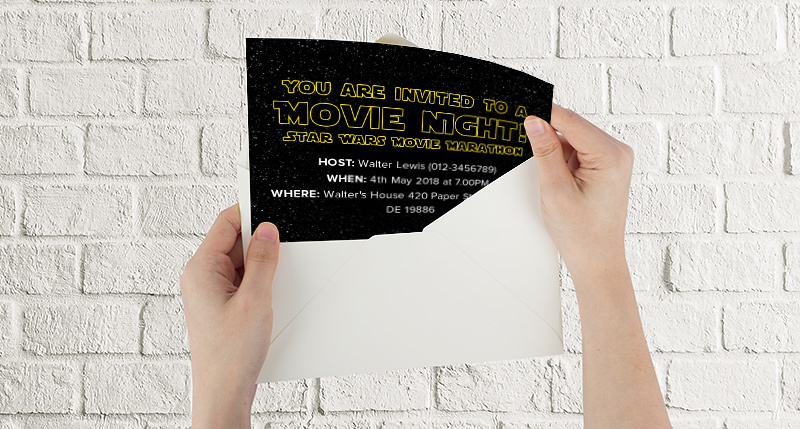 Get started by distributing Star Wars themed invitation cards or Save The Date magnets to your guests about your movie night. 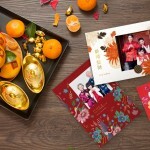 This is your best shot at sharing the love with friends and family members who has not seen the movie. 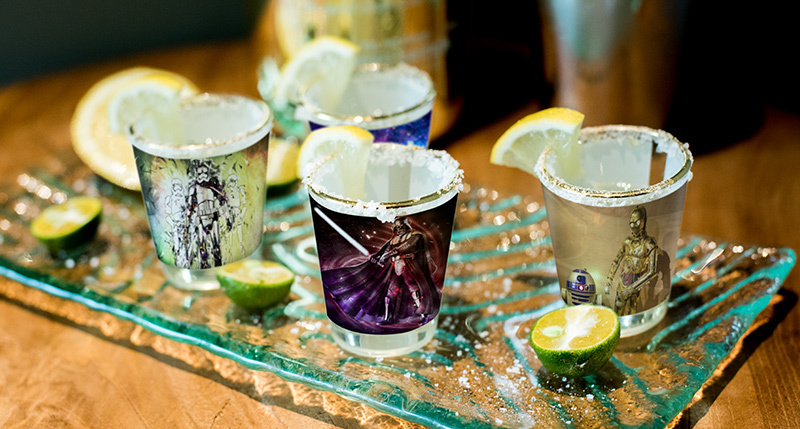 Turn up the fun for an after-party by making a toast with customised Star Wars shot glasses. What a way to end the night! You may not be a huge fan but you would probably know one or two Star Wars fanatics. 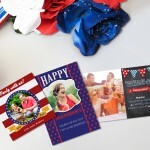 Get into the groove by surprising them with a gift that will bring tears to the eyes. 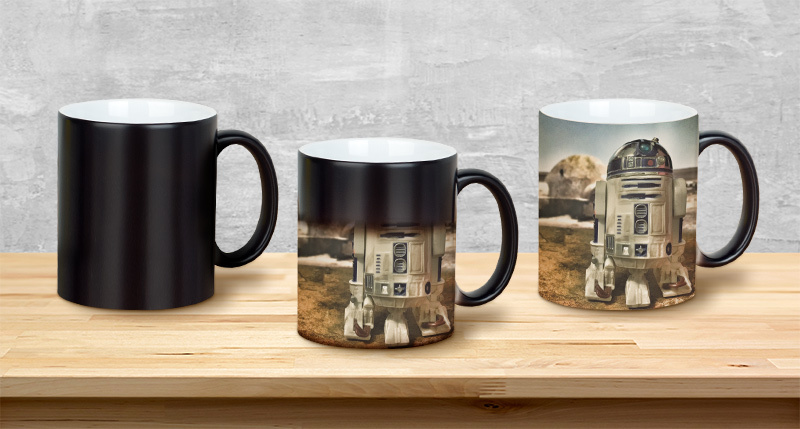 Personalise a Magic Mug with an image of Darth Vader telling them that he’s their father or a Tie Fighter chasing after a X-wing Starfighters in space. Lure your friends to the dark side by pouring hot beverages into their Magic Mug that will unveil an invitation to “Come to the Dark Side”. You don’t have to attach balloons to your house and let it fly up to space. 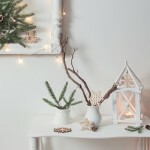 But you could create similar ambiance by decorating your crib. 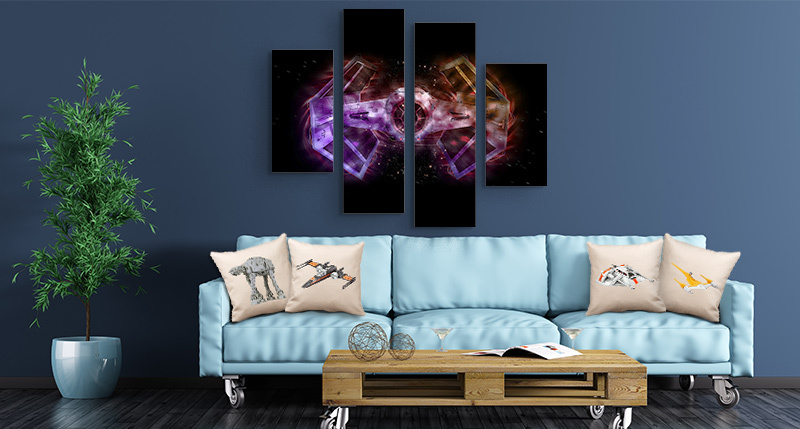 Hang Split Canvas Prints on your walls with illustrations of the film, galaxy or spaceships. Amp up the atmosphere with personalised pillows of the movie characters on your couch, place a clock of the film logo on the wall or movie posters in Metal Prints and you’ve just got yourself a universe of your own! It wouldn’t be a bad idea too to dedicate the TV room, your kid’s room or even the reading corner for everything Star Wars related. 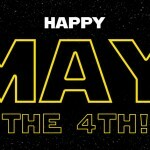 For all the parents who are fans since young and never grown out of it, they definitely know May the 4th is the perfect time to start introducing their young kids to the world of Star Wars – because if one or both parents are a fan, it only make sense for their kids to follow in their footsteps, right? Stick a Star Wars illustrated Kids Growth Chart on a wall in your kid’s room to shape them to be an enthusiast. You can personalise it according to the timeline of Star Wars, the height of the movie characters (from mini Yoda to tall Darth Vader) or basically any graphics you think will attract your little ones. 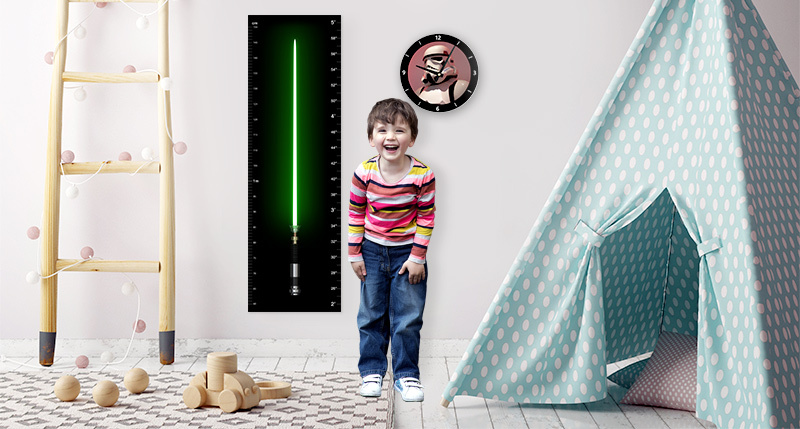 Complement the growth chart with a Star Wars analogue clock. It helps to teach your kids to name numbers and how to tell the time (for a Star Wars movie night). It’s a win-win situation! Be creative and embrace your inner child as you honour the great Star Wars Day. 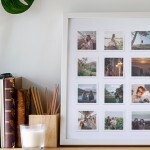 Share with us your amazing Photobook photo gifts on Instagram by tagging @photobookww and #magicalmomentsphotobookmoments and we might just feature it. 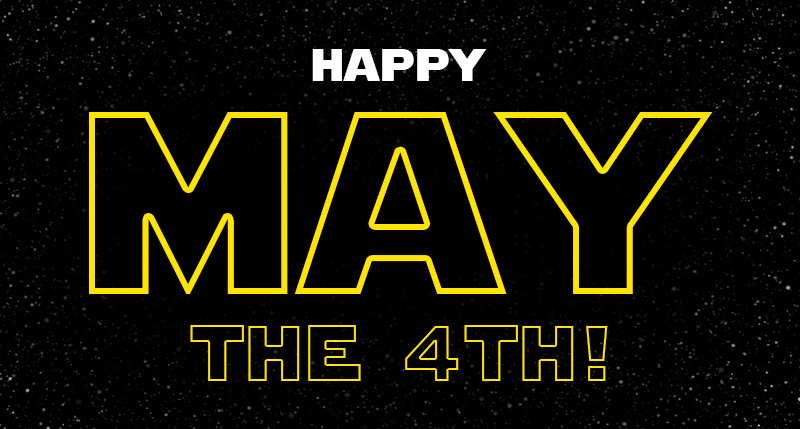 And of course, may the Fourth be with you!